looks super cool! how well intonated is it? Almost perfectly - I don't want to get it to 100%, as I feel it would sacrifice some of what makes it a Dano. Final update on this one (well, for now, lol). The annoying trem was... annoying. So I hardtailed it using an allparts Danelectro bridge. I had to shim it by putting a hex nut and washer under each of the top mounting holes, and then tightening the trem spring all the way, but it works perfectly. Also, I sanded and refinished the plastic control plate with Rustoleum Satin Nickel. 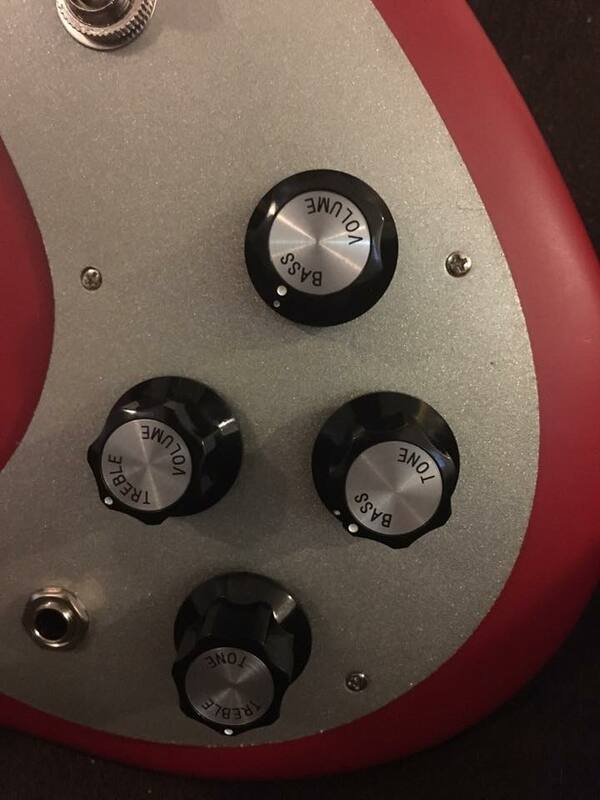 And for the finishing touch, Rickenbacker Knobs, which are this week's favorite knobs for me. Wow, you did a great job, mkt! Looks fantastic and love those Rick knobs. If you do decide to trade someday, I'm interested. BTW, I can't help but wish Danelectro had continued that bold MOTS all the way as through the control plate...that would have been aesthetic integrity to die for. Looks great. Well done, sir! Never got my head around Danelectro guitars. Some look like toys and don't play much better, then others are ridiculously good. Hope you got one of the good ones! 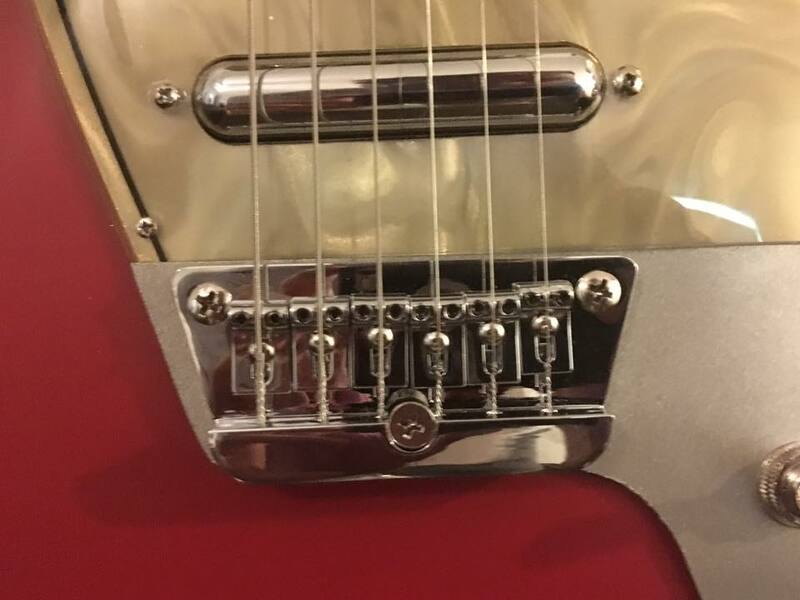 Pity the control plate's not a continuation of the MOTS pick guard.